Ruby Stevens was born in Brooklyn, New York on July 16, 1907 and didn’t exactly have the perfect childhood. Her mother died when she was only two years old, struck by a trolley after being pushed in front of it. Her father was a boozer and womanizer who cared little about his children and eventually abandoned them. Ruby and her siblings ended up in foster care. But things took a slight turn for the better when, at age 11, Ruby decided that she wanted to start dancing. Struggle still took over her life for many years, but she would go on to find stardom as the woman who could play just about any role successfully: Barbara Stanwyck. Stanwyck’s movie career began in the late 1920s (when she moved to California after working as a chorus girl for a while in New York), eventually growing to include television roles as well (and a program of her own: The Barbara Stanwyck Show). Her success in the entertainment industry continued well into the 1980s. And though she may not be as much of a lasting household name as Marilyn Monroe or Bette Davis, and she may not have won an Oscar (though she was nominated for four and did receive an honorary award in 1982), she certainly left a strong legacy behind. Stanwyck brilliantly portrays Florence Fallon, a woman who gains a very bitter attitude toward faith after her father is fired from the church he’s preached at for years and passes away soon after. Terribly angered by this treatment of her father, Florence fiercely reprimands her father’s congregation and enters a scam of a career in which she performs fake miracles for profit. But when she meets and falls for a blind man who helps her work through her disillusionment and anger, she just might regain some of her faith in mankind. Florence Fallon’s rant at the beginning of the film is reason enough for fans of Stanwyck to check this film out. She is the personification of impassioned rage in that scene – one of the strongest scenes of her career, though her performance is amazing throughout The Miracle Woman and the film as a whole is very gripping. Though Joan Blondell steals the show here, Stanwyck is still impressive in her leading role. Here she’s portraying a nurse (as the film’s title would suggest) who enlists the help of a bootlegger in order to save the children who are in her care. She believes that there’s a plot to murder the two children and will do anything in her power to stop it. I almost love this more for the story than anything else, including Stanwyck and Blondell’s performances, because it puts the viewer in quite an uncomfortable position where they’re forced to think about what’s truly right and what’s truly wrong, as well as the nature of criminal punishment. This was my first Stanwyck film and therefore will always hold a special place for me. Plus, she gets to show off those hoofin’ skills she acquired during her time as a dancer in New York, and sings a bit as well! Missy portrays “Dixie Daisy,” a burlesque dancer who becomes the prime suspect when two of her rival dancers are murdered. Similar to Stanwyck’s character in the film The Mad Miss Manton, Dixie Daisy sets off on a quest to set a trap and find the real killer. 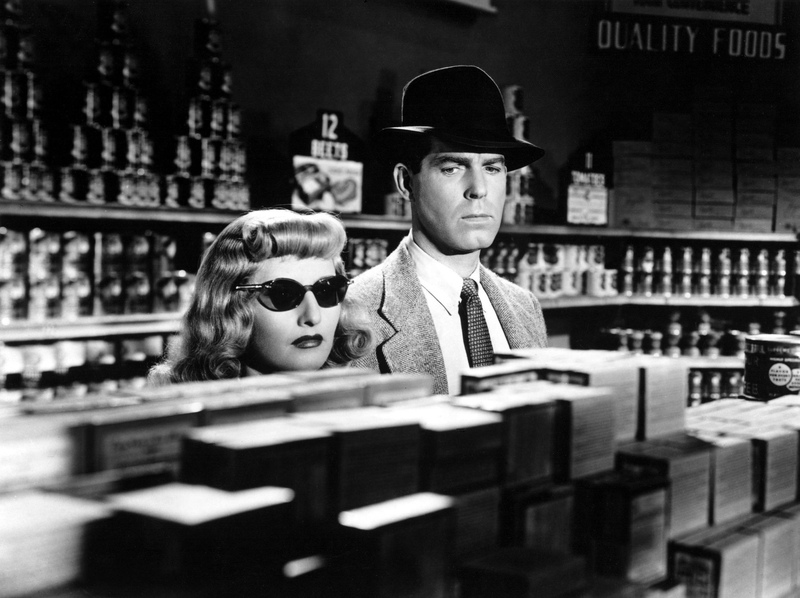 Double Indemnity, an Oscar-nominated noir co-starring Fred MacMurray, is quite possibly Stanwyck’s most beloved film. I’ve never met a fan of crime dramas who doesn’t adore this piece of work. Stanwyck is the greedy and unsatisfied Phyllis Dietrichson, a woman who has an affair with a salesman that works with her husband. Phyllis and her lover plot to kill her husband for insurance money, but suspicions arise from the insurance analyst once Mr. Dietrichson does turn up dead. This is one of those films where everything just magically falls into place, and Stanwyck’s performance is definitely a part of what makes it all work. She’s absolutely flawless in this role. All of the elements work together, and the product is a fantastic film that stands the test of time, roping in the modern viewer just as easily as it would have gripped a viewer in its original theatrical run. Stanwyck shows off her flair for the melodramatic in this romantic drama. She portrays Jessica Drummond, a widow who falls under scrutiny from the gossipy townsfolk (including her own friends and family) when she becomes involved with a military man that she meets while on a ski trip. Stanwyck’s performance does a fantastic job of drawing sympathy for her character, and she portrays the emotions of the film in such a way that it is easy for the viewer to become truly invested in the story. To my knowledge this film isn’t frequently counted among her best (and if I was truly making a ranking of Stanwyck films in order of preference it probably wouldn’t appear in the top six), but I love it because I found it to be very engrossing and was very impressed by Stanwyck’s vulnerable, sympathetic performance in the role of Jessica. 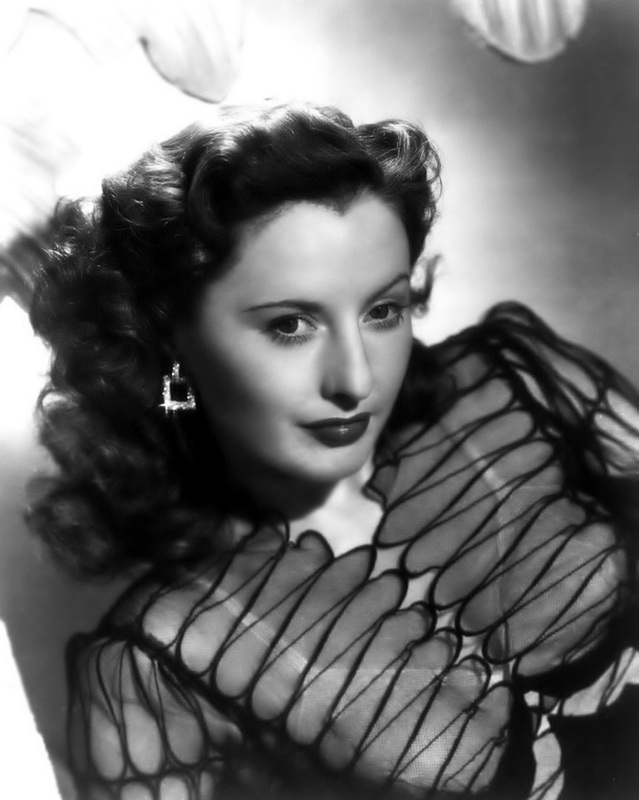 Stanwyck earned her fourth Oscar nomination for her role in this claustrophobic thriller. Here she portrays Leona Stevenson, a woman bed-ridden by illness who has been left home alone by her husband. Leona becomes paranoid when she intercepts a phone call about a murder. Stanwyck nearly plays duel roles in this film; The story is set up in a series of flashbacks and present-tense scenes, and her character’s personality is just about as opposite as a personality can be during these two types of scenes. In the flashbacks she is the strong, feisty woman that Stanwyck became well-known for playing, but in the present the character is terribly frightened and seems quite weak. Stanwyck’s ability to portray these two facets of the character within the same film is a testament to her wide-ranging talent. **Click on the titles of four of these six films to view TMP’s full reviews. Double Indemnity and Lady of Burlesque have not previously been reviewed for this blog. ***All images used in this post are credited to the amazing doctormacro.com!